Facts of the Middle Ages for kids provide a short overview about the lives of important people and major events that took place during Medieval times. Interesting, short facts for kids with access to more detailed facts and information about specific subjects. The Middle Ages Facts for kids during the Medieval period covers the major historical events which happened from 1066 - 1485. There are short, interesting Middles Ages Facts about famous Medieval people such as kings, queens, monks, nuns and nobles major historical Medieval events including the Battle of Hasting, the Doomsday Book, the Magna Carta, the Black Death and the Wars of the Roses. Middle Ages Facts for kids starts with the 1066 Battle of Hastings, which ended the period classified as the Dark Ages. The events in Middle Ages Facts continues until 1485 as the Medieval era of the Middle Ages ends with the War of the Roses and the start of the Tudor dynasty and the Renaissance period. Fact 1: The Medieval Daily life in the Middle ages was dictated by wealth, power and status and the feudal system. It is referred to as the Pyramid of Power. Fact 2: The Feudal System, or Feudalism, adhered to a strict 'pecking' order during the Medieval period of the Middle Ages when everyone knew their place. The land was worked by the serfs, or peasants. The serfs belonged to the land and could not leave without permission from the Lord of the Manor who was called a Vassal or Liege. Fact 3: The land owned by the Medieval vassal or Liege varied in size but were typically between 1200 - 1800 acres. The Medieval vassals held total power over the lives of the serfs and peasants, and held privileges including Hunting and Judicial rights. Fact 4: The Lord of the Manor lived in a Manor House that generally consisted of a Great Hall, solar, kitchen, storerooms and servants quarters. Fact 6: The Medieval Serfs were peasants who worked his lord's land and paid him dues in return for the use of land. Medieval Serfs were expected to work for approximately 3 days each week on the lord of the manor's land. Fact 10: Jousts: Knights fought as individuals in tournaments but there would also be team events. There were many different types of Jousting Tournaments during the Middle Ages which each had a different type of combat method. Fact 13: The Medieval church in the Middle Ages was totally exempt from paying taxes and the church became the most powerful institution in the world. Fact 14: All Medieval monks were clean shaven during the Middle Ages. They were distinguished by their partly shaven hair called tonsures. Any man, rich or poor, noble or peasant could become a Medieval monk. Fact 15: Many women were placed into convents by their families. The Church received a dowry from the parents of the nun which added wealth to the convent or nunnery. Fact 16: An anchoress, was incarcerated, or enclosed, in a cell and was essentially dead to the World. Fact 18: William the Conqueror won the Battle of Hastings in 1066. He building great castles in England, including the Tower of London. Fact 19: William the Conqueror initiated the Domesday Book which was a survey of his newly conquered lands and possessions in England. 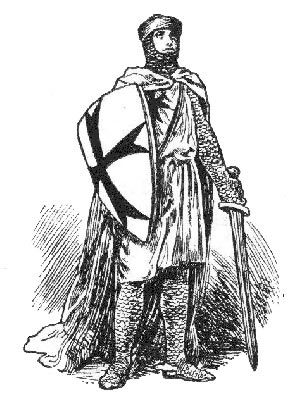 Fact 20: King Richard the Lionheart was famous for leading of the Third Crusade where he fought against Saladin, the Muslim leader. Each section of this Middle Ages website addresses all topics and provides interesting facts and information about great people and events in Medieval times. The Sitemap provides full details of all of the information and facts provided about the fascinating subject of the Middle Ages!